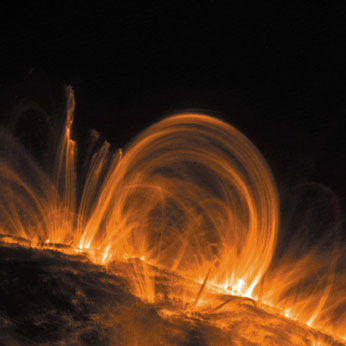 The lower solar atmosphere consists of the plasma between the photosphere (τ5000 = 1), and the corona. Most of our traditional knowledge of this region is represented in the "semi-empirical model atmospheres" of which VAL-C is perhaps the most famous. Such models have distinct limitations; in particular they are one-dimensional and do not have a true vertical spatial scale because of their organization in terms of optical depth. They also ignore all dynamics and assume Maxwellian plasmas with Ti = Te. They do, on the other hand, properly deal with the structural implications of optically thick radiative transfer. We use them here to generate rough values for various plasma parameters. In these pages we use a set of semi-empirical models tabulated by Fontenla et al. (2009) et seq. to calculate standard plasma parameters where possible (see also Fontenla, 2005, and Hudson, 2007). The models, each intended to describe a different solar feature, have different height ranges and pressures at a reference temperature of 2 x 105 K, as given in the table. The three Fontenla models chosen here span a range of physical conditions, as suggested by their different transition-region pressures. In calculating plasma parameters involving B, we assume fixed values that seem appropriate to the nature of the modeled feature. Note that we do not attempt to guess the height variation of the field. Our basic references for the derived parameters are Chen (1974) and the NRL Plasma Formulary. These pages were created by Stephanie Chow and Hugh Hudson.